RIP to the thinking man's comedian. In my opinion, the most cerebral comedian in modern times. George Carlin, a comedian famed equally for his bawdy routines about drugs and obscenities and for his ability to render absurd the most commonplace of items in modern life, died of heart failure at a Los Angeles-area hospital yesterday, a spokesman said. He was 71. Mr. Carlin, who had a history of heart problems, died at St. John's Health Center in Santa Monica in the evening after being admitted in the afternoon for chest pains, spokesman Jeff Abraham told Reuters. 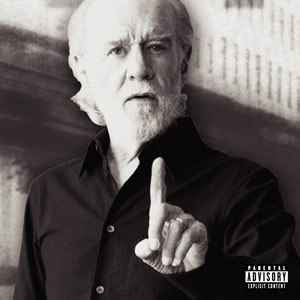 Known for his edgy, provocative material, Carlin achieved status as an anti-Establishment icon in the 1970s with stand-up bits full of drug references and a routine about seven dirty words you could not say on television. A regulatory battle over a broadcast of his "Filthy Words" routine reached the US Supreme Court. In the 1978 case, Federal Communications Commission vs. Pacifica Foundation, the top US court ruled that the words cited in Mr. Carlin's routine were indecent and that the government's broadcast regulator could ban them from being aired at times when children might be listening. He was irascible, profane, blasphemous, and determinedly astute. Whether deciphering the American political scene, or dissecting Americans' foibles, or disassembling the English language, he had the ability to re-create the perceptions of a listener, to hilarious effect. A favorite on college campuses for the past 40 years, he maintained a busy touring schedule, last visiting Boston at the Wang Theatre in March. Before that concert, he told The Boston Globe he started his career with the desire to go beyond telling jokes, to becoming a part jester, part philosopher. "If [a comedian] does both of those things with dazzling and marvelous language, then he . . . becomes a bit of a poet," he said. "So without trying to sound too grand about myself, I think there's a touch of those other two things going on in this common, ordinary stand-up comic, which is what I am really." Last year, Mr. Carlin was voted the second-best comedian of all time behind Richard Pryor in a Comedy Central poll of network executive and industry veterans. In all, he made 22 albums and wrote three books.